"Watching someone take everything from you, it turns you into somebody else." 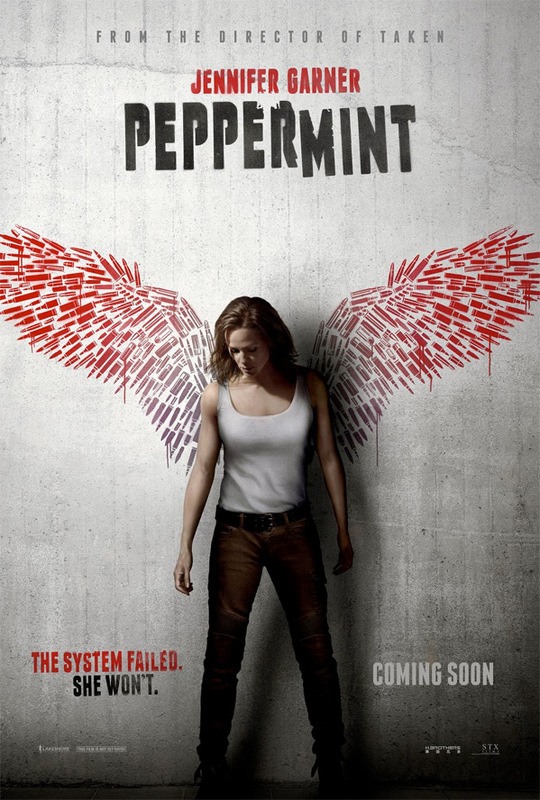 STX Entertainment has debuted the first trailer for an action movie titled Peppermint, which is currently set to open in theaters in September at the beginning of the fall season. Peppermint is the latest from French director Pierre Morel (District B13, 96 Hours, From Paris with Love, The Gunman) and is about a fierce momma who becomes an assassin. Peppermint is a revenge story centering on a young mother who finds herself with nothing to lose, and now going to take from her rivals the very life they stole from her. Jennifer Garner stars, with John Ortiz, John Gallagher Jr., Juan Pablo Raba, Method Man, Tyson Ritter, and Annie Ilonzeh. This looks as expected from Morel - heavy on gritty action, a bit cheesy but still entertaining, and kind of badass. Peppermint is an action thriller which tells the story of young mother Riley North (Garner) who awakens from a coma after her husband and daughter are killed in a brutal attack on the family. When the system frustratingly shields the murderers from justice, Riley sets out to transform herself from citizen to urban guerilla. Channeling her frustration into personal motivation, she spends years in hiding honing her mind, body and spirit to become an unstoppable force – eluding the underworld, the LAPD and the FBI- as she methodically delivers her personal brand of justice. Peppermint is directed by French filmmaker Pierre Morel, director of the movies District B13, 96 Hours, From Paris with Love, and The Gunman previously. The screenplay is written by Chad St. John (London Has Fallen, Replicas). STX Entertainment will release Pierre Morel's Peppermint in theaters everywhere starting on September 7th this fall. First impression?